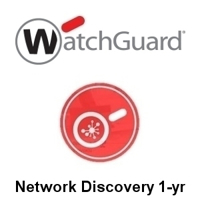 The WatchGuard XTMv Large Office virtual network security appliances allow virtualization of the traditional gateway firewall and consolidate multiple firewalls to increase efficiency and reduce hardware costs. WatchGuard® XTMv is available in four editions to handle the security needs of organizations of all sizes; the XTMv Large Office is the second most powerful of the four aimed at large offices allowing up to 5000 concurrent users. The WatchGuard XTMv Large Office next-generation security features include full HTTPS inspection and VoIP support, with optional application control, intrusion prevention, URL filtering and more. Flexible management tools give administrators access to security capabilities from an intuitive console, scriptable CLI, and web UI. Real-time monitoring and rich reporting are included at no additional cost. Generate a visual map of every connected device for total visibilty of connections on your network.